2 teams from Debattierklub Wien attended the SOAS IV 2011 between 21 – 23 October 2011. Vienna A being slightly more experienced broke into ESL semi finals while Vienna B competed as novices team. The freshman Marian Hochgerner reports on the event. London – It does not come as a surprise that Europe’s most modern and fast moving city (this is more than a cliché), with an exceptional density of high-class schools and universities, hosts “one of UK’s largest, friendliest and most engaging university level tournaments” – not to say the biggest and most international competition in Europe after the EUDC. 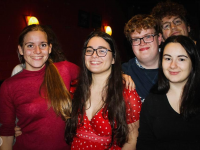 Organized by the School of Oriental and African Studies Debating Society and held at the University campuses since 2008, the SOAS IV has become a fixture on the IoNA circuit. “The SOAS IV has grown significantly and can claim to be one of the largest university-level debating forums in Europe. Over 400 competitors, judges, and observers from a variety of countries attend.” as stated proudly on SOAS Debate Society’s homepage. BPP University College featuring veteran Cambridge and KCL speakers Jack Watson and Andrew Tuffin won the open break final, speaking from closing proposition. Leiden A’s speakers Ali Al-Khatib and Rogier Baart won the ESL break final. Steph Bell from the University of Oxford topped the speaker tab with an average of 83.6 speaker points per round. Last year the SOAS IV already attracted 116 teams from 51 institutions that spread across 18 countries and three continents. This year again the competition hosted debaters from the People’s Republic of China, representing the Tianjin Foreign Studies University. 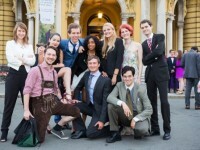 This year the Viennese delegation consisted of the two teams Vienna A – and Vienna B. Being not too proud of the these uncreative names, we claim that we intended to represent our honorable club with more inspired names – but failed to communicate those on time. Having said that, we were more than satisfied with the organization provided by the committed and likeable group of convenors from the School of Oriental and African Studies Debate Society. 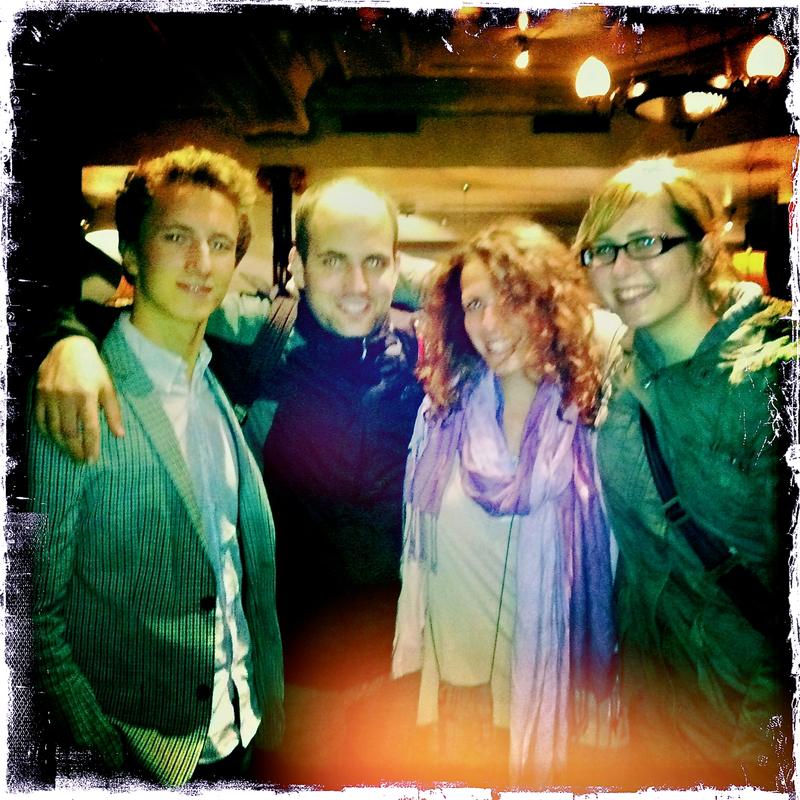 The SOAS debating society itself derives its reputation from reaching the finals of the Cambridge IV in 2009 and winning the University of Lancaster’s Princess Alexandra Cup, twice. Rosie Halmi, Christoph Jäger and Karoline Lutz arrived on Friday around midnight and checked in at the hostel close to the university campus. In the meantime our newest freshmen, Marian Hochgerner arrived (involuntarily) two days early in the amazing City of London. In fact, Marian attended two of the weekly sessions at Debattierklub Wien and actively took part in only one of those, before competing at the SOAS IV. Hence he was constrained to book his flights spontaneously the week before the tournament. Thanks to convenor Eleanor Knowol Marian did not even have to look for a costly accommodation on Thursday night, but rather spent a comfortable night on a cozy couch. Together with 50% of Tianjin University’s team he was welcomed by the committed organizer and her three personable housemates. Marian put his early arrival at use to attend the opening seminar on Friday evening, held by the Chief Adjudicators Harish Natarajan, Pam Cohn and Filip Dobranic, so he would get a head start on the international competition. Well, at least he got acquainted with the BPS format and the IV procedures. With all this exercise at hand and after the expected toast/müsli/coffee-breakfast, our two teams, Vienna A and Vienna B arrived self-confident and not too tired on campus. Rosie and Christoph competing as Vienna A, being the more experienced part of the delegation and Vienna B composed of the fairly fresh debater Karoline and our newbie, Marian. John Bercow’s (MP and Speaker of the House of Commons) opening speech welcomed us into an (over-)crowded auditorium. It became obvious, that the sheer amount of people participating would cause some stress for both, convenors and adjudicators and more than just one delay. Anyways, at least our experienced team A used the queue time to mingle with acquaintances and friends. Pursuant to Rosie “typical for UK IV’s”, the fifth round before break was held on Sunday morning. Obviously, this did not discourage the participants from partying on Saturday night. The motion “THW create a free market for the sale of babies” predestinated polemical arguments but also lead to particularly absurd and humorous ones, especially in those rooms where debaters did not expect to break into quarters or semis. While Karo and Marian proudly managed not to loose every single debate, Rosie and Christoph broke into the ESL semi-final. As no-one had expected that, one of the competitors came into the moral dilemma where he had to choose between staying another night in London or missing out on it’s chance to speak at the semis and flying back home to attend work on Monday morning. Unsurprisingly the decision was made cold-bloodedly in favor of true duty: debating at the semis. Even though Vienna A did not make it into the ESL final, staying on-site until the end was rewarded with some impressive demonstrations of high-quality debates in semis and finals. After a change of location to another SOAS campus, the final 4 teams debated the up-to-date motion “TH regrets the extra judicial killing of Colonel Gaddafi” – just 2 days after Britain’s (in-)famous press, (notably “The Sun”) printed on its front page pictures, as aesthetic and tasteful as one may image, of the dictator’s corpse. Their efforts were cheered for by an enthusiastic crowd (partly already in beer-induced post-tournament party mood), shouting encouragements to their favorites, or rewarding specifically penetrative arguments out loud. Jack Watson and Andrew Tuffin were finally able to convince the jury of their outstanding performance. After being kicked out of the elected “post-IV-Sunday-evening-social”-pub, due to the late attendance, the final results had to be announced out on the street, in front of that pub. The CA’s were satisfied with the quality of the debates and the participants praised the high standard of it. Yet, it was complemented for its relaxed atmosphere. We felt that the SOAS convenors made it particularly enjoyable for foreign teams and ESL competitors. The novice speaker prize and the high contingent of ESL teams contributed to the international and relaxed vibe.